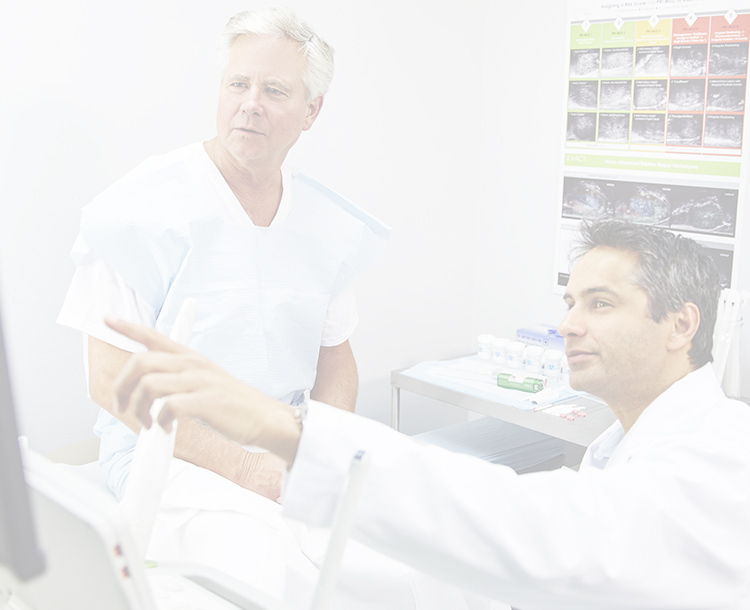 PRI-MUS™ (prostate risk identification using micro-ultrasound) is an evidence-based* protocol for identifying sonographic features of the prostate under micro-ultrasound to help direct and target biopsies. Small regular ducts "Swiss Cheese"
For PRI-MUS 1 and 2 features — which are characteristically benign, the urologist would take a systematic biopsy. PRI-MUS 3 characteristics could be supported by targeted or systematic biopsy, depending on the suspiciousness of the tissue. For PRI-MUS 4 and 5 features, the urologist would target those areas which are highly correlated to significant disease. *The initial PRI-MUS protocol was validated with data from 400 micro-ultrasound biopsy-based cineloops matched to pathological results.